Color 2 Dark Brown Clip-In Hair Extensions of Euro Collection Luxury Cuticle Hair is made to perfectly match most European hair texture! 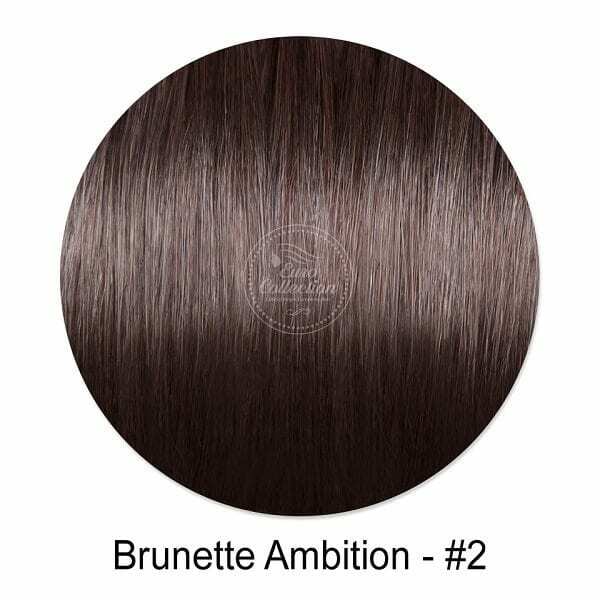 The Brunette Ambition is like color #2– Dark Brown Clip-In Hair Extensions. 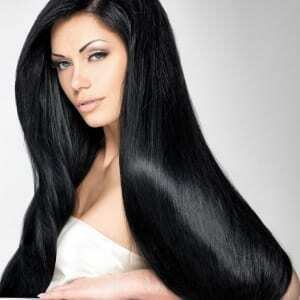 Our Clip-In Hair Extensions is suitable for all hair types-Fine, Medium to Full hair. 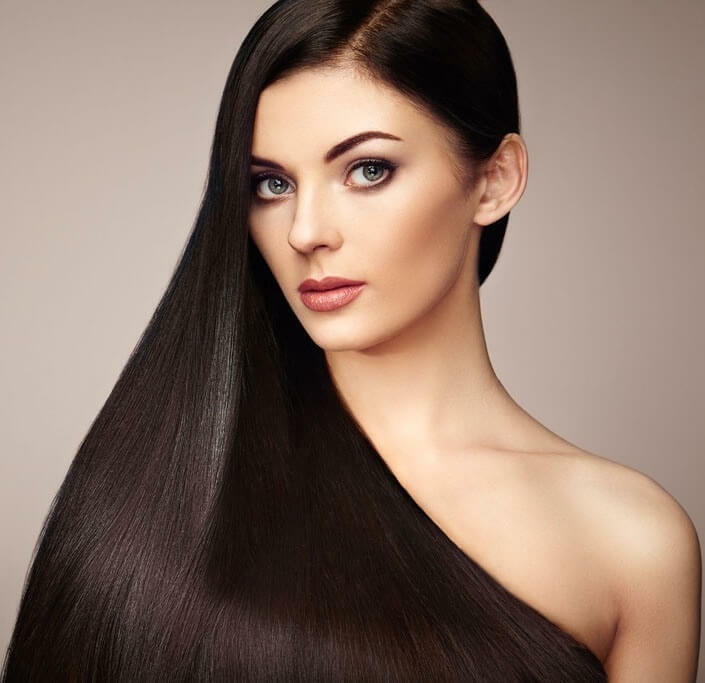 Get that instant glamorous Volume and/ or Length you always ever wanted using our Dark Brown Clip-In Hair Extensions Color 2. The shipping is quite fast. I was very excited to see that it only took a few days before the package arrived. 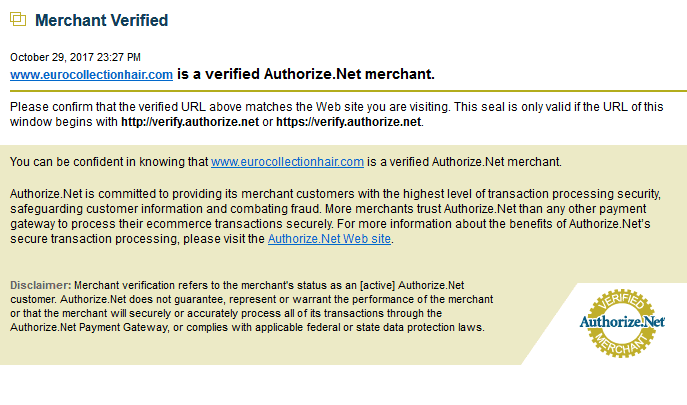 Upon seeing the product, it really exceeded my expectations. The color is exactly what I wanted. I don’t normally take the time to write a review, but this product deserves one. It looked natural, blended so well and felt good to comb with my fingers. This is my first try with tape-in extensions. I was scared that it would be too shiny and sticky, but it wasn’t. I highly recommend this product to anyone looking for the perfect flat hair extension. I have it professionally done. I recently bought two sets of these clip-ins and I must say these are some of the best I bought. It perfectly matches my hair texture. It does not overpower my natural hair. It looks authentic when I put them on. I was hesitant to purchase at first, not knowing if the clip-ins would match my natural hair color. It actually came just two days ago. I spent a lot of money on my hair and clip-ins really helped saved me from the expensive costs of maintaining a long hair. What I love even more is that when I curled it, the clip-in was able to hold the curls for a day. These extensions are no doubt have a great quality. It held a curl better than some real hair that I worked on. It’s price and quality are a win-win for me. I’ll totally grab another pair when I need different styling with my hair. So, I decided to order this hair after I saw all those gorgeous Frankies Bikini models 🙂 I’ve never tried hair extensions before but for so long I wanted to add some length and volume to my hair. My hair came quite on time and I love the cute free bag with hanger. 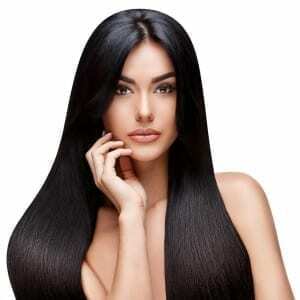 My hair extensions are super soft and high quality! The color is so natural, even my mother was shocked. It perfectly blended, amazing. The only issue is me getting used to the clips, it is much better now, if you are amateur like me, please note you will need to be patient so you can master the art of putting on the clipin hair extensions.